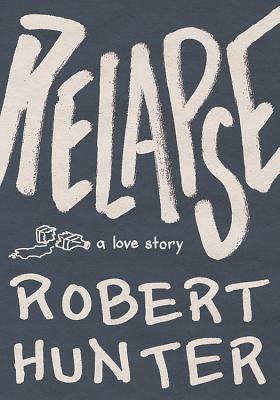 Tuesday, October 9th, 2018, 5:30 p.m.
Postponed to Thursday, October 11th, 2018, 5:30 p.m.
Join us as musician Robert Hunter swings in to Gibson's Bookstore on his Relapse + Revival tour! We'll be treated to an live acoustic musical performance with music from his new album, Revival, as he also discusses and signs his debut novel, Relapse: A Love Story. About the book: Rob Wildhide will become a celebrated novelist; he just knows it. But first, he’ll have to overcome writer’s block and survive a wayward trip to the North Woods of Maine with his new bride, Annie, and her treacherous friends (raft guides are not to be trusted!). A love story at its best and wild ride at its drunkest, Relapse careens through shaman-led weddings, car heists that lead to strange prophesies, and the inner workings of a mind rife with possibility and absolutely unaffected by the moonshine, thank you very much. Is it relapse, or is it revival? Rob Wildhide will try just about anything to find out where this story goes. The inspiration for the tour was Robert’s young wife Becky – his best friend and favorite muse - who was diagnosed in 2016 with an aggressive and difficult to treat form of cancer. At that time the outlook was bleak. And yet, Becky insisted that he publish the novel, and produce the record she so adored. Having the possibility to travel, and see the country, on tour, was also her idea. It served as motivation for her, and for Robert, throughout Becky’s yearlong treatment; through countless chemotherapy sessions, and surgeries. Happily, Becky is now in remission, and the tour is a reality. Rob Wildhide will become a celebrated novelist; he just knows it. But first, he'll have to overcome writer's block and survive a wayward trip to the North Woods of Maine with his new bride, Annie, and her treacherous friends (raft guides are not to be trusted ).